I had an unusual experience today, 9/27/16. I stopped by the Yoga Shakti ashram to thank the divine Mother for Helping Hillary Clinton stay focused, empowering her to win the debate. I sang bhajans to the deities assembled in this hallowed temple and chanted with japa mala. After which, I went into meditation. 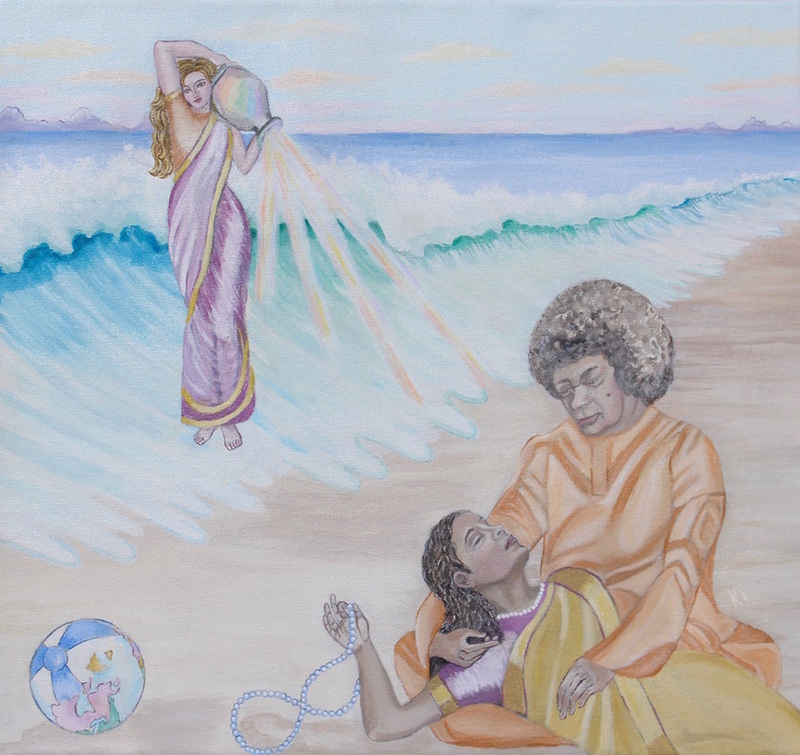 Beautiful visions of the Divine Mother surged through my consciousness. I saw her pouring something into a glass and offering it. I also saw Her eating something voraciously. Towards the end of this meditation/vision the Divine Mother came very close. I could see her lips magnified, moving. I watched intently, Her lips moving and exhaling breath. I then went and circumambulated the Shiva Shrine. I was literally in an altered stated, feeling high and light headed. At one point as I circled the shrine, the extraordinary beauty of the surrounding scenery seemed to fill my field of awareness, in a unique way. Lets see if I can describe this. I was suddenly aware that there was only endless beauty, and endless life that was the truth and I was a part of this endlessness. I felt Sai Avatar standing very close to me, actually fused with me. His arm was extended pointing outward to the universe yet connected to the universe and I to Him and everything. This experience was truly extraordinary and uplifting.